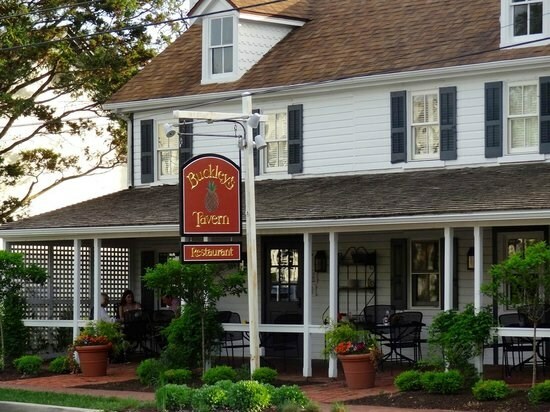 Welcome to Buckley's Tavern a neighborhood tavern and restaurant located in the heart of historic Centreville, Delaware where you will enjoy a delicious lunch. 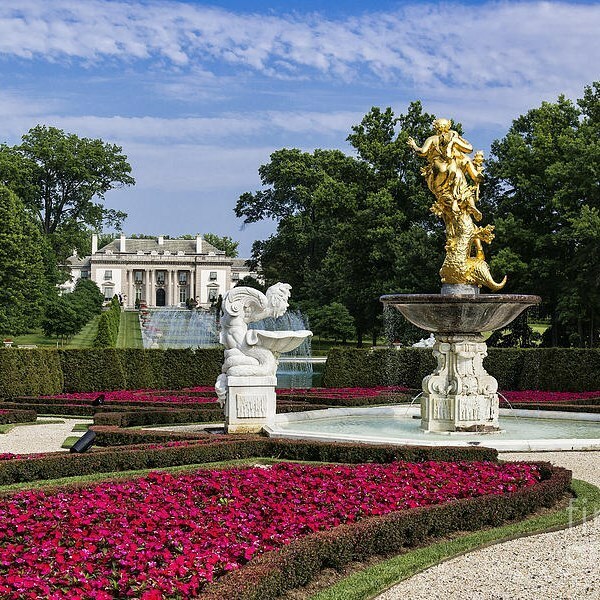 After lunch we depart for the Nemours Mansion & Gardens, a 300-acre country estate of Alfred I. DuPont, the late industrialist and philanthropist for some 19th-century yuletide cheer. Welcome to Buckleys Tavern a neighborhood tavern and restaurant located in the heart of historic Centreville, Delaware where you will enjoy a delicious lunch. The two-hundred-year-old building that now houses Buckleys Tavern was originally built in 1817 as a private residence. Throughout the years the tavern was the site of a blacksmith shop and a tollgate to collect fees from those traveling to and from Wilmington, Delaware. In the 1930s, the house became a popular taproom and ice cream store and in 1951 the proprietor gave the tavern its current name. Relax and enjoy the fellowship of friends old and new while you enjoy your meal! Please provide a meal choice when making your reservations. Your choices are Meatloaf, Seared Chicken Breast or Seared Salmon Filet. After lunch we depart for the Nemours Mansion & Gardens, a 300-acre country estate of Alfred I. DuPont, the late industrialist and philanthropist for some 19th-century yuletide cheer. An outstanding example of a French chateau in the style of Louis XVI, you will tour the former Du Pont estate decked out for the holidays with Christmas trees, hand-painted ornaments and antique decorations. You will hear how Jesse and Alfred Du Pont celebrated the holidays, and glimpse historical artifacts, some of which have never before been displayed. Many of the rooms featured on the tour will be decorated, as they would have been when Du Pont resided there in the early 1900s, while others will retain their traditional period decorations. Christmas trees, garlands, sprays, paper filigree quilling, hand-painted ornaments, miniature churches, original holiday cards, a manger scene and original toys from the Du Pont estate all add to the old-fashioned holiday atmosphere. 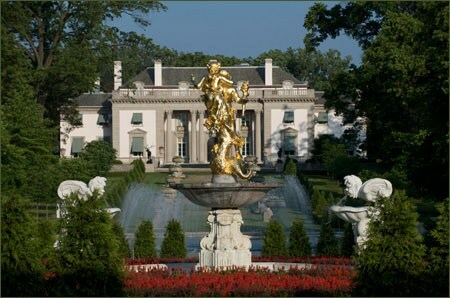 Yuletide at Nemours Mansion will delight you with the grand traditions of the past and visions of holidays of old! Happy Holidays! Welcome to Buckley's Tavern a neighborhood tavern and restaurant located in the heart of historic Centreville, Delaware where you will enjoy a delicious lunch. The two-hundred-year-old building that now houses Buckley's Tavern was originally built in 1817 as a private residence. Throughout the years the tavern was the site of a blacksmith shop and a tollgate to collect fees from those traveling to and from Wilmington, Delaware. In the 1930's, the house became a popular taproom and ice cream store and in 1951 the proprietor gave the tavern its current name. Relax and enjoy the fellowship of friends old and new while you enjoy your meal! Please provide a meal choice when making your reservations. Your choices are Meatloaf, Seared Chicken Breast or Seared Salmon Filet. After lunch we depart for the Nemours Mansion & Gardens, a 300-acre country estate of Alfred I. DuPont, the late industrialist and philanthropist for some 19th-century yuletide cheer. An outstanding example of a French chateau in the style of Louis XVI, you will tour the former Du Pont estate decked out for the holidays with Christmas trees, hand-painted ornaments and antique decorations. You will hear how Jesse and Alfred Du Pont celebrated the holidays, and glimpse historical artifacts, some of which have never before been displayed. Many of the rooms featured on the tour will be decorated, as they would have been when Du Pont resided there in the early 1900s, while others will retain their traditional period decorations. Christmas trees, garlands, sprays, paper filigree "quilling," hand-painted ornaments, miniature churches, original holiday cards, a manger scene and original toys from the Du Pont estate all add to the old-fashioned holiday atmosphere. 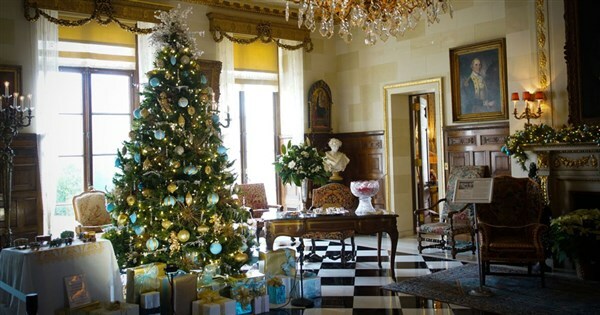 Yuletide at Nemours Mansion will delight you with the grand traditions of the past and visions of holidays of old! Happy Holidays!